This lunation of 5 in your fifth solar house will focus on your love life and hobbies. You should combine both of them by inviting your special one in a hotel on the riverside. This month of April will also favor artistic activities and good relationships with kids. This month you will get to spend more time with your children (if you have children) or creating. You will feel powerful, even in your personal life! Open your heart to the loved one and make sure you please your partner with flowers, earings or DVDs and shirts for men...that will always make them smile! This month your family makes you happy. You enjoy spending some time with them and it makes you very happy. Since Mercury is in your fourth house, make sure you see your brothers or sisters in order to invite them to a family dinner. 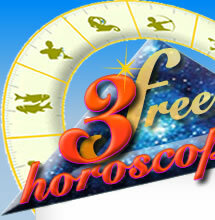 Mars is in your seventh solar house and you will have to be more receptive to your partner and co-workers. Stay calm and diplomatic. With Venus in dissonance in the week of 7, it's best not to expect anything and to stay receptive to your friends's needs. Stay patient another couple of days. During the week of 21 Venus is in harmony with your decan. A pretty nice period that makes you feel closer to your partner and friends. Be generous. 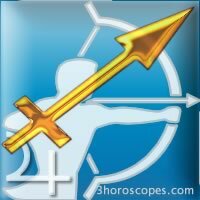 Sagittarius, do you know your zodiac sign ?